Boothroyd and Company Kenilworth have been awarded the Best Letting Agency Award for Kenilworth…to add to the Best Estate Agency Award for 2017 and 2018. Directors John and Alison Boothroyd could not be prouder of this accolade. John commented “As a company that has never been one for self-promotion it is humbling to be sought out, and recognised for the exceptional work our teams do day in day out. I do not need reminding how long I have been an estate agent, but principally this business hasn’t changed in the forty years I have practiced in Kenilworth. As the principal of Boothroyd and Company I have standards that I hold myself to. However, having a team of 13 people who strive to achieve those same standards surely only makes for an exciting company to interact with. 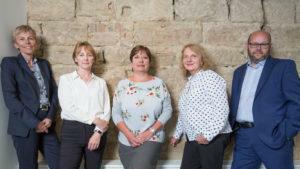 In a time when many estate agents are cutting back on staff, we have actually invested further by adding two new members of staff to our frontline teams to reinforce the importance of exceptional customer care. Olivia Allen has joined our team having completed her degree at Nottingham Trent University and has proved very popular with our clients and Amy Turner has so far been working behind the scenes getting acquainted with our accounts team and procedures. Both are already valuable additions to our fantastic team.